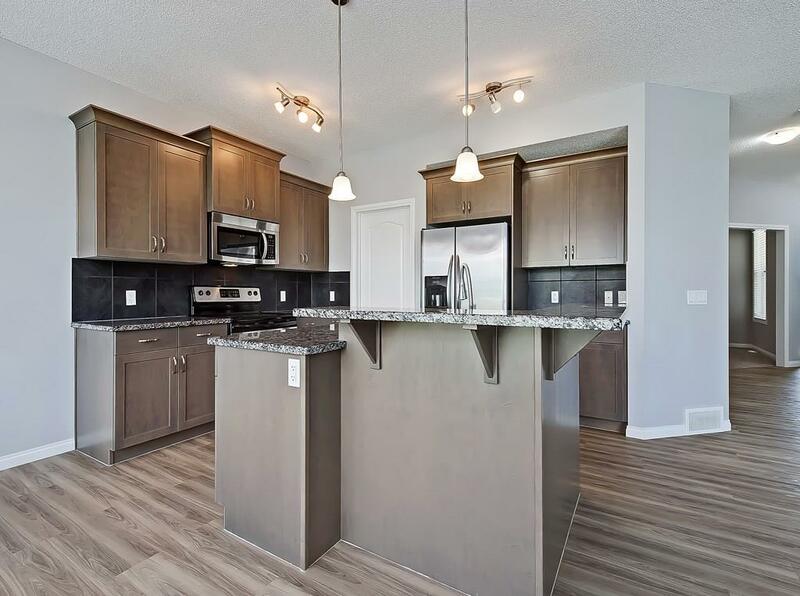 Just listed in Sunset Ridge, a community in Cochrane, Alberta! 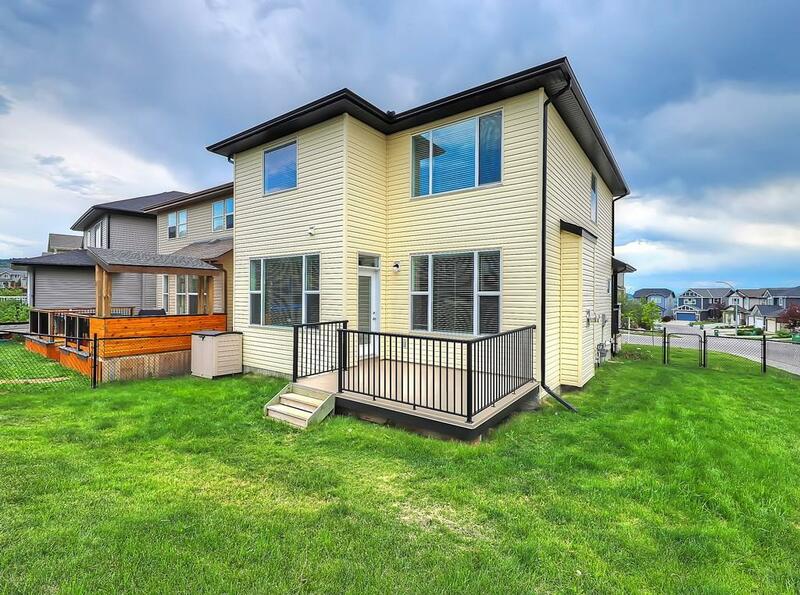 Located approximately 25 minutes northwest of the city limits, Cochrane is an ideal community for those looking to live a slower-paced lifestyle but not too far from all that Calgary has to offer. This beautiful single-family home is located on a corner lot and features over 2,350 square feet of above grade space with 3 bedrooms and 2.5 bathrooms. Plus, it has mountain views! 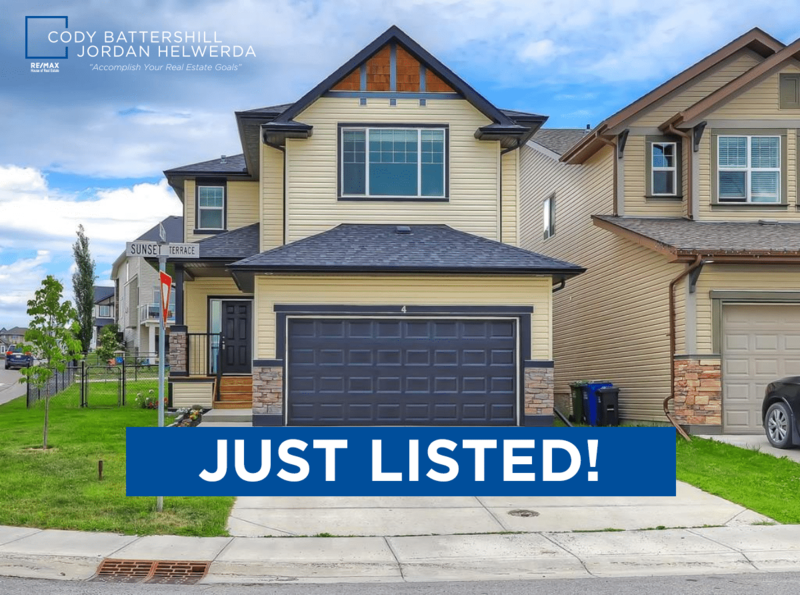 This detached home for sale in Cochrane has an impressive list of features such as 2,350 square feet of above grade living space, 3 bedrooms and 2.5 bathrooms plus mountain views to start! 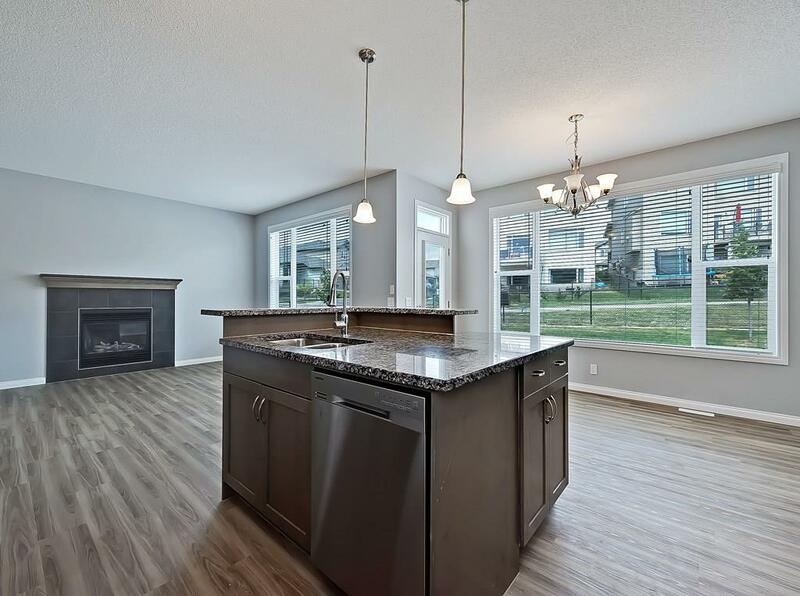 Inside there’s a ton of upgrades including granite countertops, new vinyl plank flooring on the main floor, a walk-through pantry, new carpet, powder room on the main floor, a large upstairs laundry room and a fresh coat of paint throughout. Upstairs there’s a bonus room that’s full width where you can see the Rocky Mountains from the windows. The master bedroom has a 5-piece ensuite and a spacious walk-in closet that makes you feel at home. There’s also 2 more bedrooms anchored by a 4-piece bathroom – lots of room for the kids, or to grow perhaps! This home has been maintained well over the years. 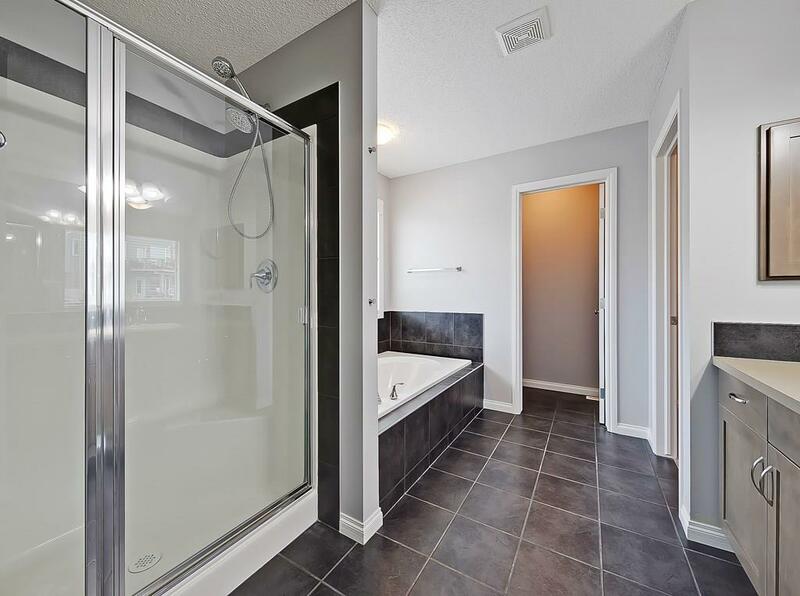 The basement level features a partially completed space with electrical permits currently in place and R/I for a full bath, providing a ton of space to work with and options for development. The backyard is fully-fenced (great for pet owners), landscaped and has a westerly exposure, meaning lots of sun during most times of the year. Want to know more about MLS# C4195008? Call, text, email or contact us using this form to set up your very own private viewing of 4 Sunset Ridge TC in Cochrane, Alberta today!  Questions about Cochrane Real Estate? 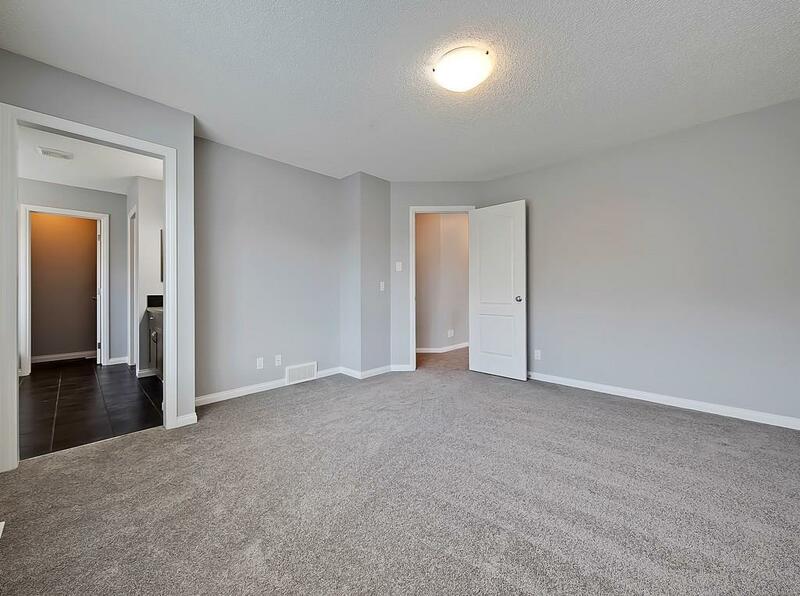 As experienced real estate agents and REALTORS ® in the Calgary Metropolitan Area, we guarantee to provide you the best service, advice and representation throughout your transaction while taking care of all the details for you. Call anytime at 403-370-4180 or send a message below for a quick, if not immediate response during most hours of the day. We are looking forward to helping you accomplish your real estate plans!